April 2017 – Sig Nordal, Jr.
It’s called The 44 Training Program: Turning Uncertainty to Find Mindful Openness. Wow, can it really do all that?! Yes. Yes, my friends, it can. If you put in the effort to train. In our lives, we have lots of difficulty: stress, anxiety, anger and frustration, plus the pain of loss and heartbreak and massive change, not to mention major illness and chronic pain and depression. How do we deal with all of this? We can use it, as the place of transformation to happiness and peace. We can use it, as a way to awaken, to touch our inner goodness, to connect with the pain of others. The place we find peace and mindfulness and happiness isn’t somewhere away from the pain and struggle … it’s right in the midst of it. This program is about training ourselves to be mindful, to find peace in the midst of chaos and pain, to get good at dealing with discomfort and change and uncertainty. This program is about simple practices that train our minds and our hearts. It’s my life’s work. You train with 11 different practices, 4 days each. So 44 days total. The daily practice sessions should take only 5-10 minutes a day. If you sign up below, you’ll get an email every other day, with videos for each practice and a short article to encourage and inform your practice. With each practice, I just ask you to give me a little feedback on how it’s going, to help me make the program better. It’s mind training, training in uncertainty and discomfort, training in transforming our struggles and fear into openness and joy (as I shared in my mission a couple days ago). Sign up below, and get started with the Intro video today! Question: Is this going to take a lot of my time? Answer: It should take about 5-10 minutes a day, for 44 days, not including watching the short instructional videos. Question: Are you going to try to sell me something if I sign up? Answer: No. There are no “upsells” or soft sells or anything else. No spam. No marketing. Just short videos and short articles. Question: What do I need to do this program? Answer: A quiet place to sit for a few minutes would be ideal, but you could make it work on your commute, on the toilet, walking outside. An open mind is also great. And the willingness to commit to the practice for 44 days. The Bloomsbury painter Vanessa Bell, née Stephen, lived most of her life (1879–1961) in the chilly, concealing shade of her younger sister, Virginia Woolf—the last twenty years following Virginia’s suicide in 1941. Though the attention paid to the Bloomsbury Group seems to be waning on both sides of the Atlantic, there is currently a surge of interest in Bell. 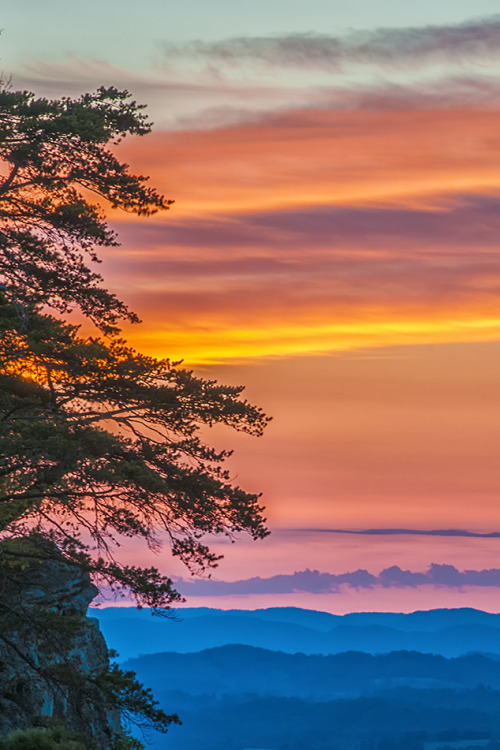 Be prepared for sunrise splendor at Cumberland Gap National Historical Park. It’s a thrill watching the sun paint the sky from the park’s Pinnacle Overlook. Here you have views of Kentucky, Virginia and Tennessee. On clear days, you can even see the Great Smoky Mountains in North Carolina – a sight that’s 100 miles away! Photo by Volunteer Harold Jerrell, National Park Service. One of the few things I know about writing is this: spend it all, shoot it, play it, lose it, all, right away, every time…give it, give it all, give it now. This very unique building, with a height of approximately 11 meters, consists of a juxtaposition of seven rooms as large as six to nine square meters. These are all connected via a spiral staircase in the center of the structure. It’s located in a forest of Red Cedar trees, which gives the added privilege of intimacy. Its wooden exterior allows it to camouflage almost completely with its surrounding environment. It.. 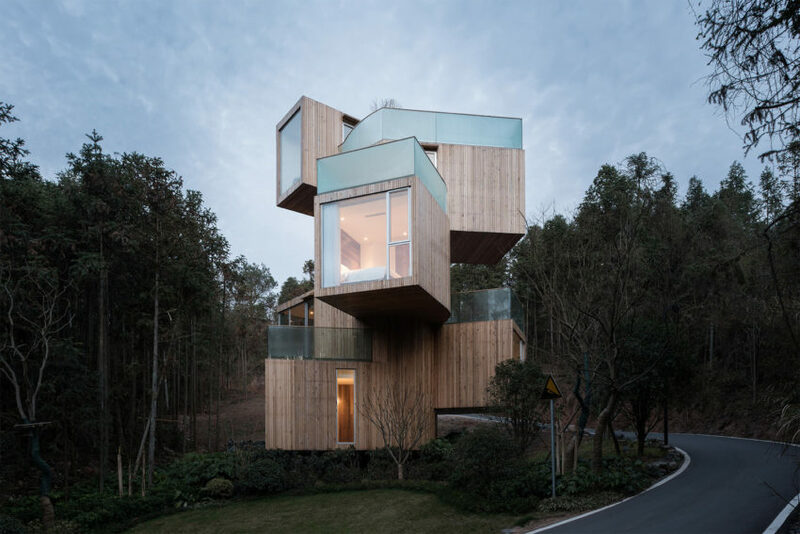 The post Spectacular Mountain Tree House Encrusted in a Red Cedar Tree Forest appeared first on HomeDSGN. No, this isn’t another planet. 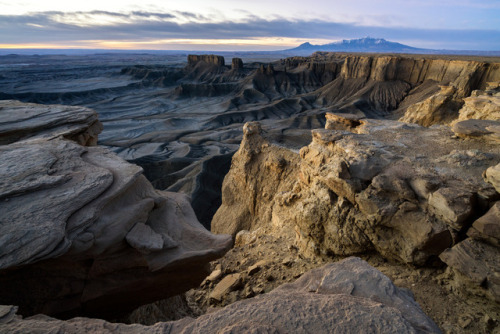 It’s Skyline Rim, near Factory Butte in eastern Utah. Massive wrinkles in the rugged landscape give this place an otherworldly appearance, especially in the fading light of dusk. Photo courtesy of Brock Slinger.